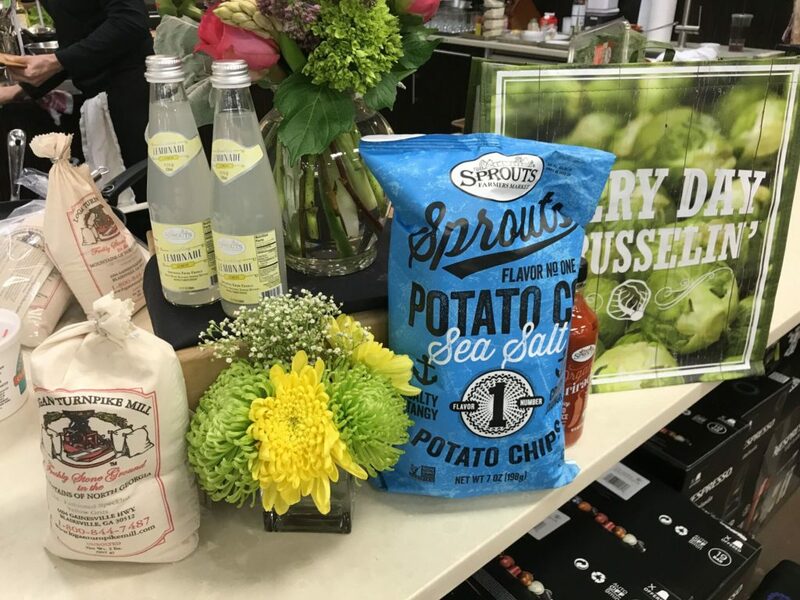 Over the years I’ve developed a relationship with Sprouts Farmer’s Market and Cook’s Warehouse, a kitchen supply store here in Atlanta and had the pleasure of attending their events geared towards bloggers. 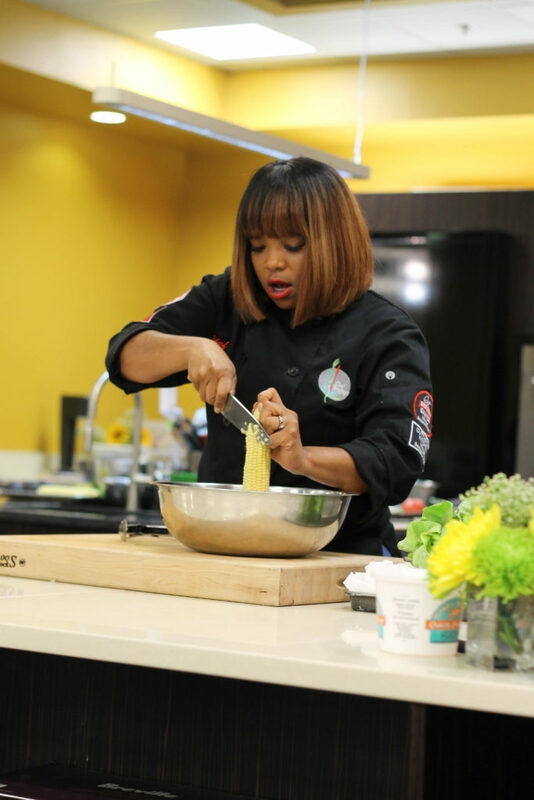 A few weeks ago myself and a select group of bloggers were invited to a hands on cooking class with Chef Tregaye Fraser, host of Food Network’s Kitchen Sink and winner of the twelfth season of Food Network Star. 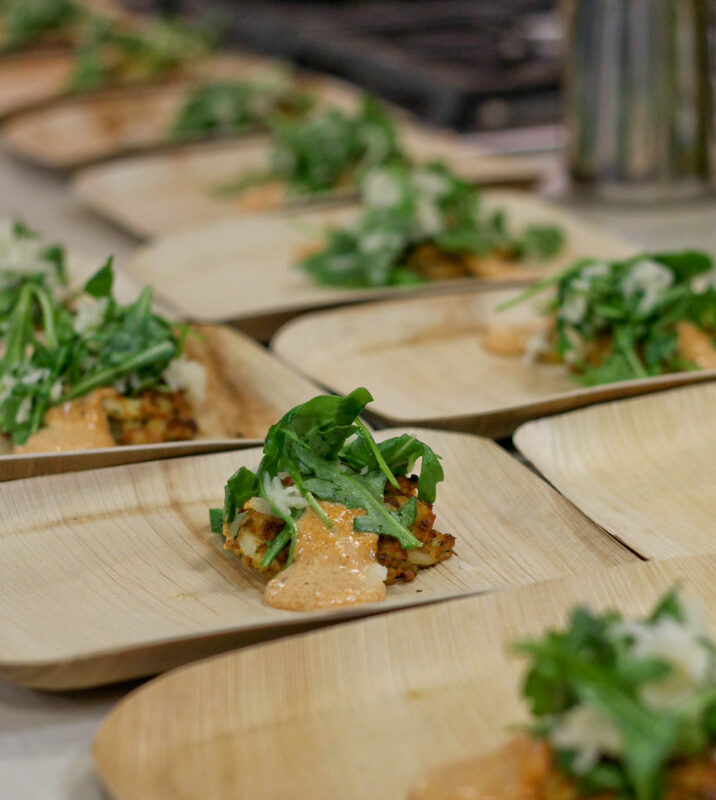 We dined on Crab Cakes with a Cajun Remoulade, a Shrimp Grit Cake with a Lobster Cream Sauce and Jicama Salad prepared by Chef Tregaye and let me tell you, it was good!! 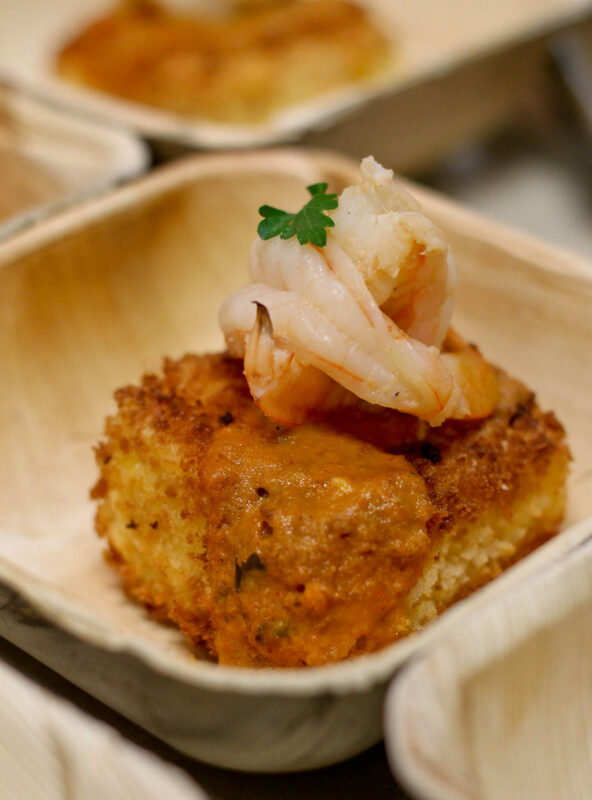 The Shrimp and Grit Cake had lumps of shrimp throughout the grit cake and was topped with even more shrimp; it was a seafood lover’s feast. 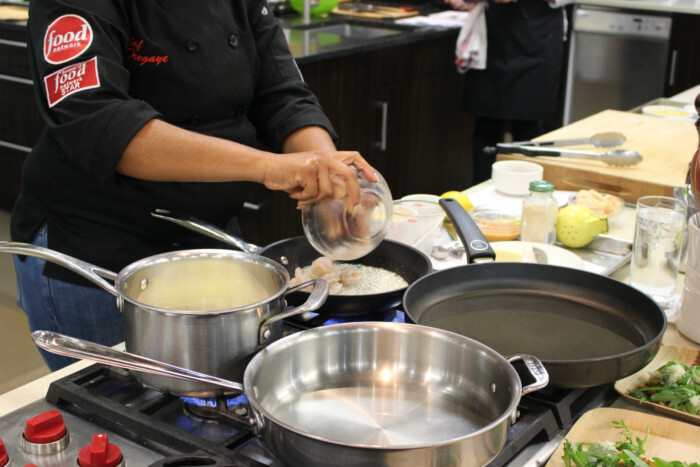 Chef Tregaye prepared the very same dishes that we ate, and then she demonstrated 2 types of fish tacos that we were going to be preparing later. 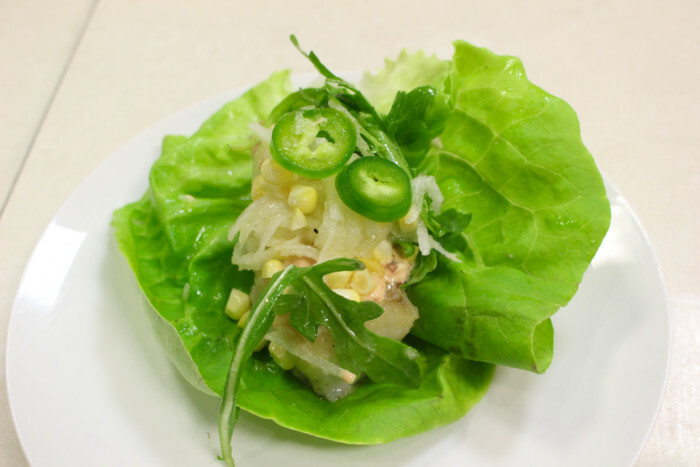 We separated into four teams and with recipe in hand we went to work. 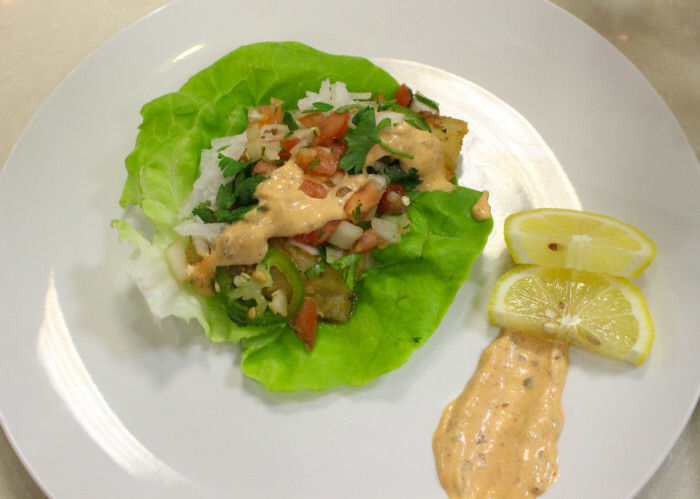 We prepared tacos with Cod Fish and Mahi Mahi wrapped in bibb and romaine lettuces, sriracha and chiptole mayos, pico salsa and black bean and corn guacamole. To sweeten the deal, we were competing against the other teams for a Sprouts gift card. 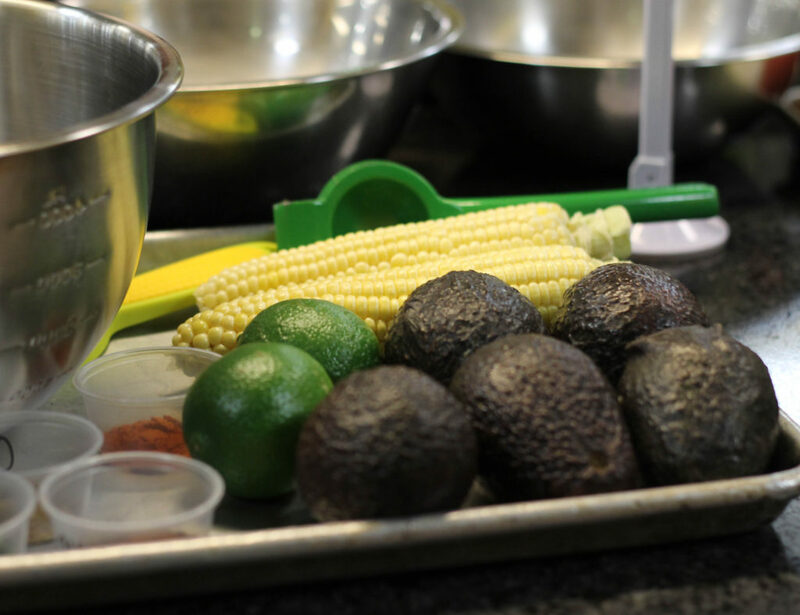 We divided the tasks; I was in charge of the guacamole and plating. Our competitive spirits kicked in and needless to say we won! 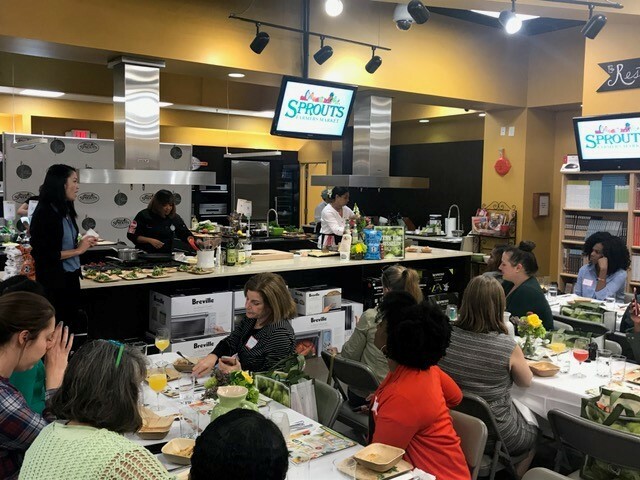 Thank you Cook’s Warehouse and Sprouts for another amazing event.